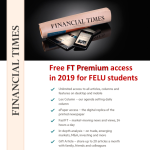 If you are a FELU student, you can access Financial Times Premium package in 2019 for free. 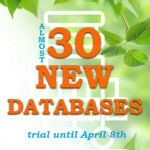 In order to gain free access you will need: FELU student status in academic year 2018/2019, and UL e-mail address. 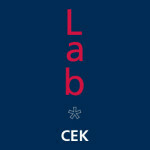 Please send FELU student status confirmation and UL e-mail address info to: periodika.cek@ef.uni-lj.si. We wish you a happy 2019! 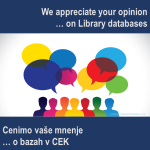 Central Economics Library is closed from Saturday 22nd of December 2018 to Wednesday 2nd of January 2019. 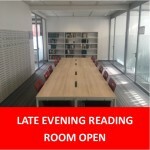 There is no charge for the books that are due, on the days the library is closed. Apologies for the inconvenience. We wish you happy holidays. Having trouble carrying notes, books, chocolate, energy drinks and other heavy things around? 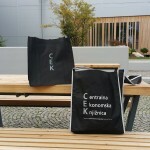 If you have no more space in your bag, we can offer you a simple solution: in the library, you can get a practical shoulder bag for 1 EUR or a large bag of 1.50 EUR.